So, Safeway is running a promotion where you get a $5 Catalina (a coupon for your next shopping trip, used on any item) when you buy 3 Hallmark cards. The only stipulation is that they cannot be the $0.99 cards. Lucky for us savvy shoppers, Hallmark has a printable coupon available on their Facebook for $2 off any 3 cards! If you happen to have cut out the double-coupon coupon from this week's Safeway ad, you can save an additional $0.50. 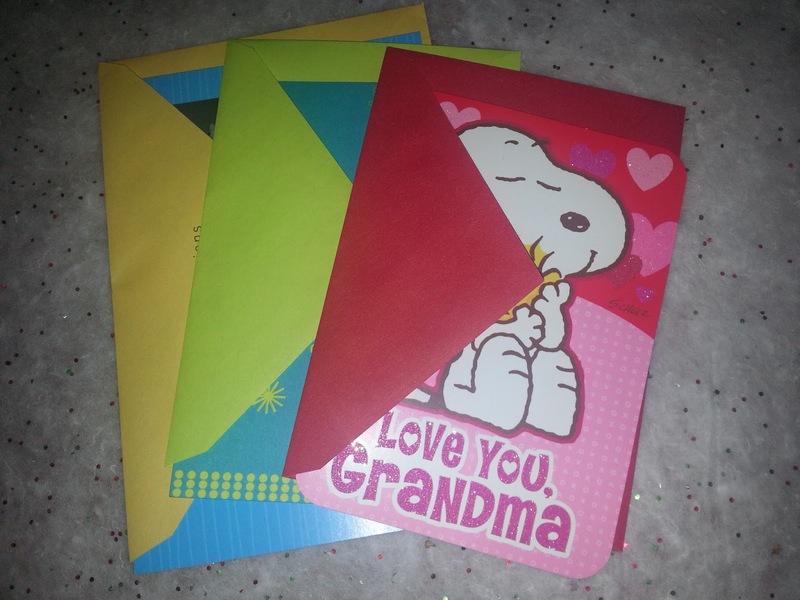 So now, not only do I have an extra $1.53 for veggies to make me healthy, I have a belated Christmas gift thank you card, a birthday card for my buddy, and a Valentine's Day card for my Nana (cue: awwwww...). Today rocks! Thanks to Frugal Living NW for this tip! Did you do this deal? How did it go for you? Who did you get cards for?